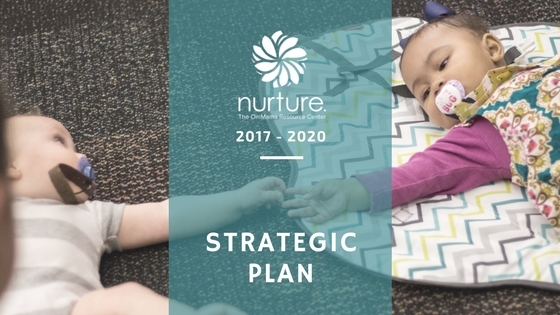 Nurture Announces Our 2017-2020 Strategic Plan - nurture. 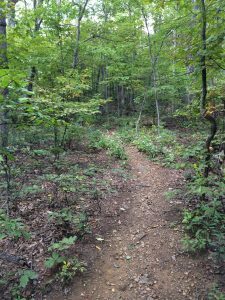 Recently I set out for my first overnight hike in over 25 years with my son, taking only what we could carry on our backs. Going into the wilderness requires some advance preparation: take a map, wear good shoes, pack enough but not too much. Once on the path, be mindful of your surroundings and stay open to changing your plans if necessary. Our trip was relatively uneventful – I dunked my boot in the creek while filtering water (note to self: waterproof boots, once wet, lead to blisters); my son got his bear bag line snagged in a branch, so we were unable to get our food up to the recommended height (fortunately, no bears showed up). The terrain on the second day was unexpectedly challenging: at one point I had to lie down for a while, air out my blistered feet, and eat a nourishing snack to find the strength to make the final leg of the trip. We finished our hike exhausted and elated. I woke up the next morning feeling stronger for our journey and ready to plan our next adventure. Nourished by the strategic wisdom that emerged from our pause, we are excited to begin implementing strategies to further our capacity to carry out our mission. We are grateful for the input of so many who are aligned with our vision of a community where all families have the resources they need to successfully navigate the critical life transition of pregnancy, birth, and early parenting. One significant theme that emerged from surveys conducted during the strategic planning process was that Nurture is viewed as a “connector” within maternal and infant health circles in Richmond. Last year, embracing a structural concept from the construction industry, we adopted “sistering” as a guiding metaphor for our work. “To “sister” in the context of the nonprofit world means that Nurture is committed to working together with other organizations to build a stronger and more resilient web of support for Richmond’s newest families. Using the “sistering” principle, we successfully launched the Nurture RVA Birth & Baby Fair, which will take place for the third time on April 21, 2018, at the Science Museum of Virginia. This event brings together Richmond’s prospective, expecting, and new families with the organizations, providers, and businesses who serve them, for a day of information, connecting and fun! We hosted a series of “Community Conversations” among health and social service providers, so that we can all be connected in our efforts to provide the region’s families and organizations what they need the most. And we have continued to play a role in local efforts to increase support for breastfeeding families, particularly among communities that are experiencing health disparities due to structural racism. We are getting ready to launch our biggest endeavor yet, an online community directory for all things pregnancy, birth and early parenting – a one stop shop for individuals and families to go for information about everything from obstetric care providers to car seat safety checks to postpartum mental health support. This effort will also help us map Richmond’s maternal/infant health resources and identify gaps where we as a community can do better by our newest families. Nurture is participating in this year’s Giving Tuesday campaign. #GivingTuesday is a global day of giving fueled by the power of social media and collaboration. Can we count on you to help Nurture move toward our next phase of making Richmond truly family friendly? We thank you for your support of us in the past, and hope that you will continue to support our efforts as we move into a new phase of development. You can donate on Giving Tuesday, November 28, (or anytime) via the link below.